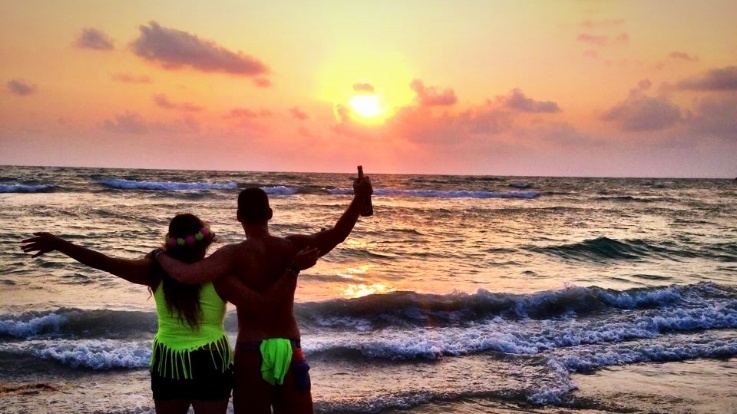 Thailand brings you a wide range of nightlife options. Fall in love with this country, this is your Bucket List trip; enjoy the trip the way you want to! Spend time at the popular local bars, clubs, relaxed beach bars, or restaurants. You can also just unwind and enjoy time with your new friends. 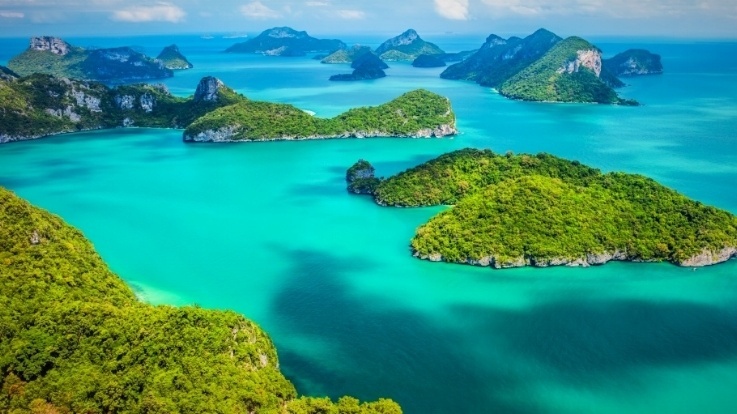 Thailand boasts hundreds of islands with some of the most beautiful beaches in the world. Relax and unwind on one of the many magnificent beaches or get adventurous and go scuba diving, hiking, or kayaking. There’s a reason why Thailand is known as the Land of Smiles; every day spent here brings a new adventure! This country has so much to offer: temples, beaches, epic parties, Buddha statues, floating markets - you name it, Thailand has it! Discover the city where anything goes! From drinking cocktails out of buckets to eating cooked insects. Immerse yourself in the unique culture and prestigious temples, travel along the Chao Phraya River, and pamper yourself with a traditional massage. On the third day embark South on the overnight train to Khao Sok National Park! Traditional longtail boats will take you to the floating bungalows where you will stay for the night! Relax, have a beer, chill in a tube and soak in the stunning backdrop of the limestone mountains. Wake up early on the Lake refreshed and ready for breakfast. This will prepare you to catch some sun, sea, sand, and the best island vibes at a secluded paradise, 'Bottle Beach' in Koh Phangan. 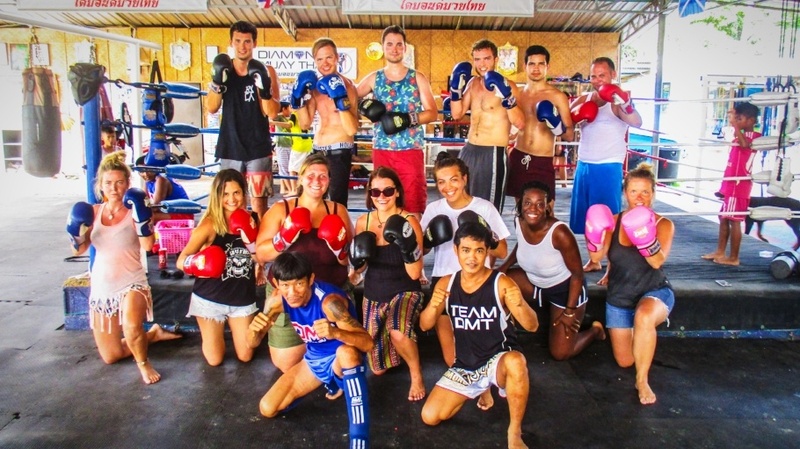 Be sure to get a good night's rest so you can be energized to try one of Thailand's most popular ways to stay active, Muay Thai Boxing. This is optional if you just want to relax on the trip. 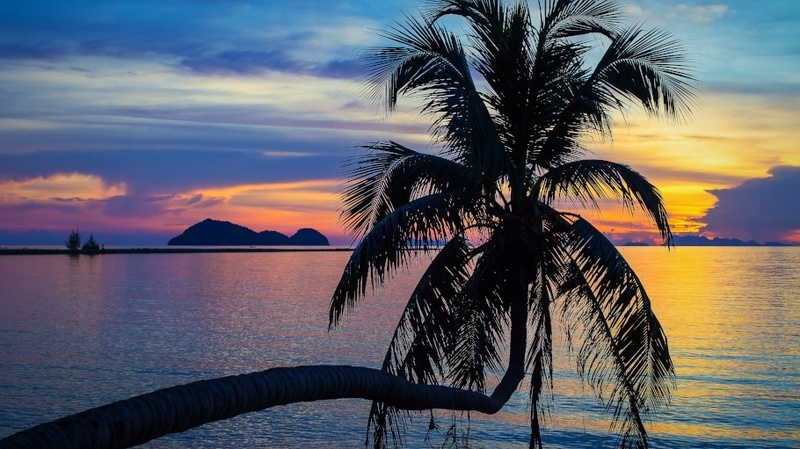 Embark on a voyage around Koh Phangan and take in the amazing scenery. We have free drinks and food throughout the day. The last night enjoy one of the best restaurants in town for an included meal before heading out in the town. All good things, unfortunately, must come to an end. On your last day make the trek back north to catch your departing flight out of Bangkok. 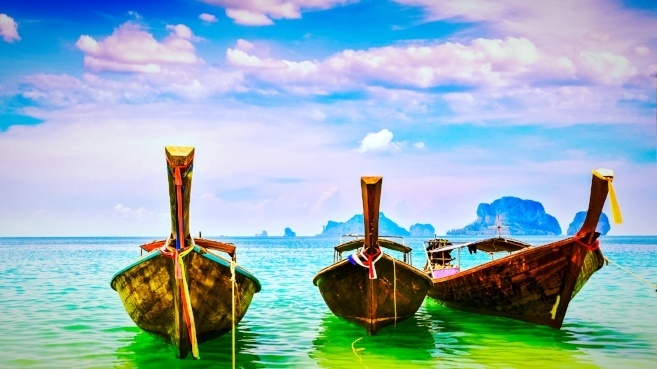 If you are looking to stay in Thailand for longer, our guides will help you get to your next destination. Your trip starts in Rome. Meet your group for immediate departure on private coach bus to the Amalfi Coast. Spend a day of relaxation, for the next morning you will leave for Capri. Get an included private tour of the island of Capri and a free chocolate and limoncello tasting before exploring on your own. Depart on the ferry to get ready for an optional group dinner and a very lively night life. Once you arrive in Bangkok all transportation between destinations during your trip will be taken care of until the last day. *Transportation on the last day for departure is not included. You'll stay 7 nights at top-rated and unique accommodations in Bangkok, Koh Phangan, and Phangan. If you're feeling up to trying something new get your sweat on by taking a Muay Thai Boxing lesson. No matter how athletic or in shape you are, this lesson is for everyone. However it is not mandatory! So no need to feel obligated leaving your beach chair! A low deposit and flexible payment plan are available to pay off your trip! We show you all the main sights of the city. Canals, awe-inspiring temples, historic monuments, and even getting to taste delicious Thai food - the complete Bangkok experience! Chao Phraya River Cruise: By traditional longtail boat, explore Thailand's heritage, visit historic temples, and the giant, golden Buddah statue. Island Boat Trip: Spend the day taking in the tropical scene of Koh Phangan. Stop for snorkeling along the way. Drinks, food, and music are offered throughout the day! Private 'Bottle Beach': One of our favorite beaches for a few reasons: seclusion, beach huts, and natural beauty. 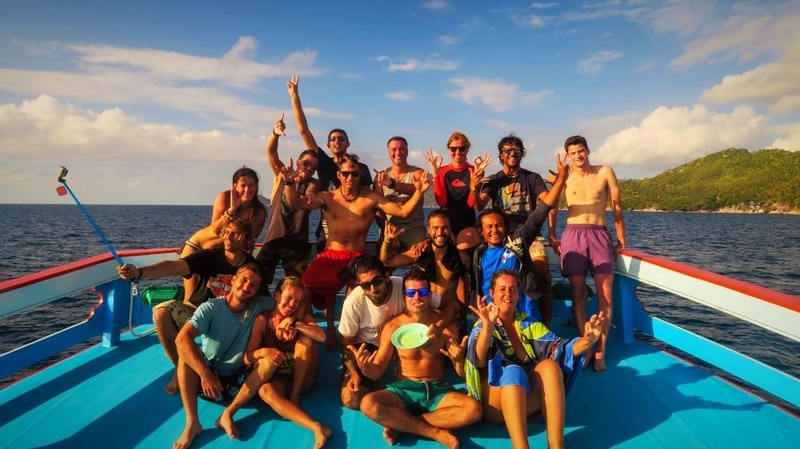 Kayaking, snorkeling, tubing and cliff jumping: You'll have the option to do as many or as few activities as you want on your trip! From drinking out of buckets on Khao San road in Bangkok to the unforgettable nights with your new friends, our guides make sure you see the best nightlife that Thailand has to offer! Our local guides are knowledgeable and helpful in every aspect. From getting the right price in a taxi, to experiencing the best view points in Koh Phangan, they are always there for you. *Round trip flights are not included. Optional activities ie: scuba diving, kayaking, etc. *Extend your trip to the 13-day tour, which includes the Full Moon Party, for an additional cost. Request a custom itinerary below. 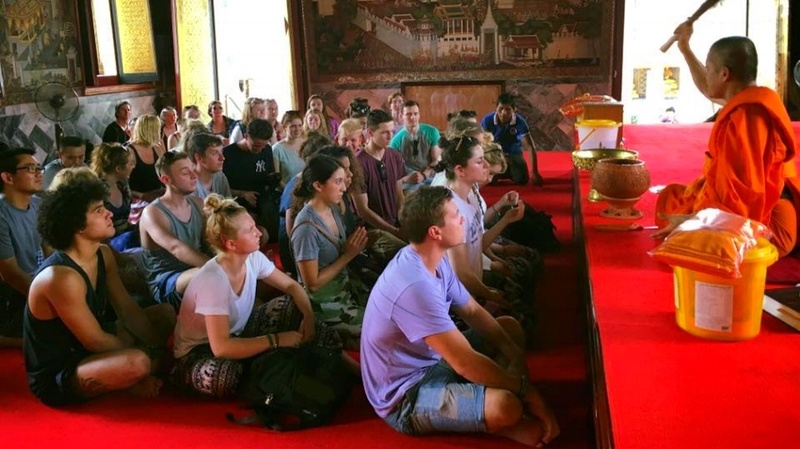 This Thailand trip runs every month, with several departure days each week. For a detailed list of departure dates and specific prices, please fill out the form below. From picking you up at the airport on your arrival day, to taking care of all travel logistics, we make sure that you are free to relax and enjoy your time in Thailand. *Trips to Thailand run every month with a 12 or 13 day option as well. If you are interested in a longer trip, or looking for a different date, there are plenty more options to chose from. Fill out the form below to speak to your dedicated travel specialist and get specific dates for later trips. Don't miss out on this trip of a lifetime. You will get to experience life in Thailand the right way and make countless memories and new friendships along the way! Speak with a travel specialist now! Are you ready to take the next steps in planning your next life changing adventure? 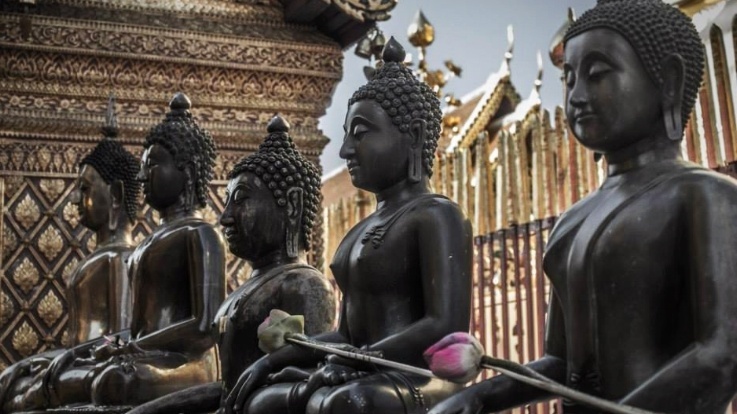 To get more information on your trip to Thailand, fill out the form or give us a call at 978-573-2070. However, if you are ready to cross Thailand off of your bucket list today, click the button below to place your trip on hold - commitment free. "Fantastic tour, the guides were so knowledgable, friendly, and approachable. Loved every minute and felt so at ease through the whole trip." "Met the most amazing people, and made really good friends. Unforgettable experience!" "Don't hesitate, just book it! Such an amazing experience with so much to do."